Sorrel Soup is prepared with fresh Sorrel Leaves and natural seasoning, making this a super healthy and delicious homemade soup! 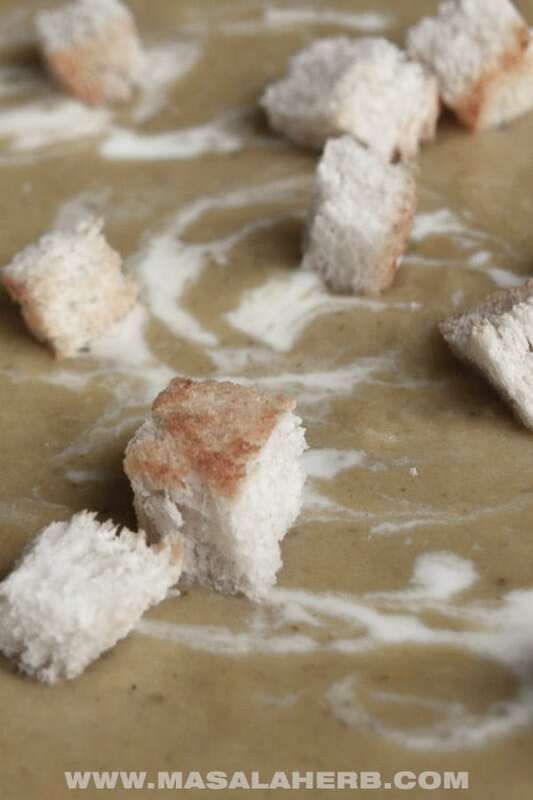 I like to serve my freshly prepared creamy sorrel soup with croutons to add some crunch to my meal. The Sorrel soup recipe is further below. Sorrel has been left behind in the staple food revolution, which is a pity since it has unique light strawberry sour flavor. 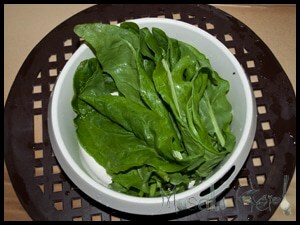 Sorrel is one of those green leafy, super healthy plants, coming into the category of spinach and chard. Sorrel tastes sour but refreshing, it’s leaves are juicy and deep green. There is also a red sorrel variety with red veins. Even though it isn’t used as commonly as the latter, in the world and cultural regional cuisine it has it’s traditional place. Sorrel grows even wild in central Europe and you can recognize it on the red unusual looking tiny flowers. According to Wikipedia, Sorrel was used by the first great civilizations more than 2000 years back. Folks would consume it, to balance a fatty unhealthy diet. Later on in the Middle age, Sorrel was widely available, especially on the British Island, where it was known to have fever-reducing properties. Further, Sorrel was a must have when crossing the wide sea, since the plant contains valuable Vitamin C and so the nutrient prevent Scurvy, which was the most common sailor illness at that time. Usually, the sorrel plant leaves should be eaten cooked and not raw (even though it is widely consumed raw too), because the leaves contain some amount of oxalic acid, which promotes the development of kidney- and bladder stones. Children are mostly known to get oxalic poisoning. Besides that, cattle such as sheep, tend to be very sensible and shouldn’t consume sorrel leaves. Cows are smart and usually eat only a small amount of sorrel in the day. You can see that when a bunch of wild sorrels is left untouched by the grazing cows on the fields. When you intend to collect the leaves in nature, see that you pick up neat fresh leaves without holes and choose a place where no chemical fertilization was used. We grow our Sorrel plant in the Garden next to Carrot and co., so maybe you should consider getting your own plant in the future! I am not aware of any supermarkets selling sorrel, so otherwise, you will have to go hunting in your natural environment. As mentioned above Sorrel is mostly used like spinach and chard or even instead of the two other leave types, and since I am not that much of a spinach fan, sorrel is my all time favorite green leave plant. This is my favorite Sorrel recipe and one of my favorite inexpensive soups. 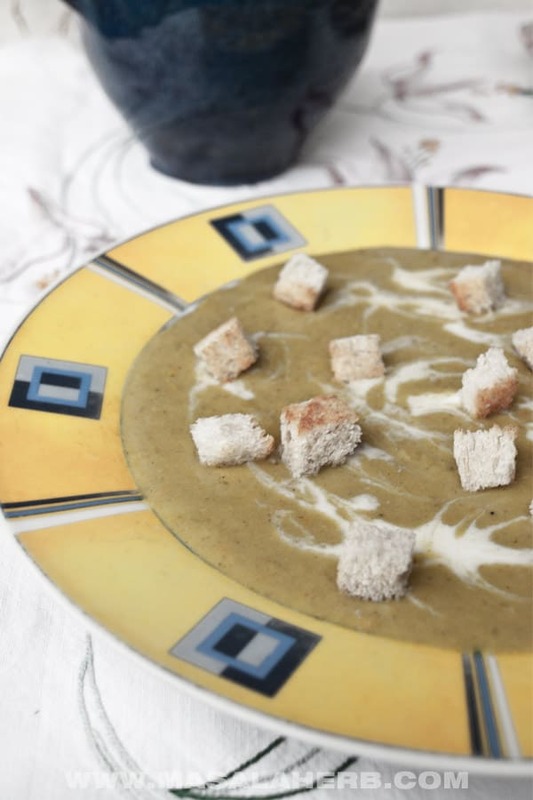 Sorrel soup is easily recreated at home and oh so healthy! How to use and prepare Sorrel? This sorrel soup makes a great cold summer soup too! You can also make a sorrel tea or sorrel juice with the sorrel leaves. I usually tend to just blanch the sorrel leaves to make the juice and I add some other fruits such as berries to the sorrel to make a juice. When blanched the sorrel leaves are a 100% save to eat uncooked/”raw”. 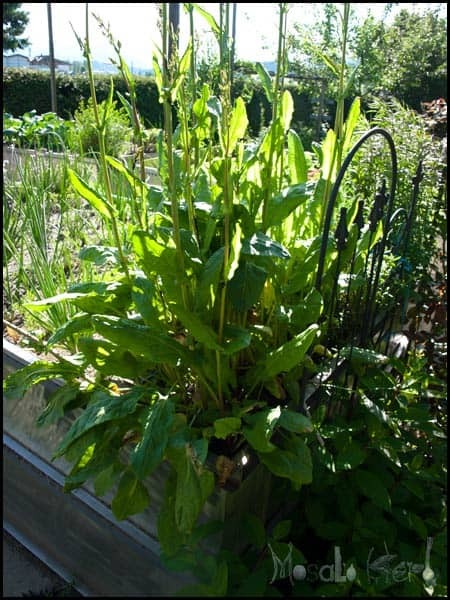 Usually what people do to start growing sorrel in their garden is to take a piece of a root from a friends garden or from the wild and plant it into their patch of mud. I haven’t met anybody who has grown sorrel from leaves but that should work as well if you get seeds. Sorrel is considered a weed, same as nettles and dandelions, so it’s rare to find organic packaged seeds in the store. You can get heirloom sorrel seed varieties Although these weeds/herbs are rather useful in food preparation! To make the Sorrel Soup you will need a few vegetables besides the fresh Sorrel leaves to add texture, flavor and to enrich the soup with nutrients. 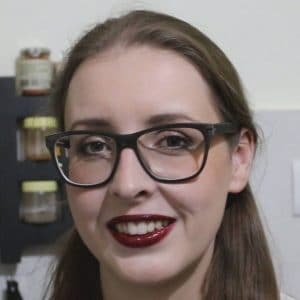 You will need the following plant-based ingredient to make the sorrel soup: fresh sorrel leaves, potato, carrot, onion, garlic, celery root and leek. For the cooking fat, you can use butter or olive oil. I personally love the sorrel soup with butter. 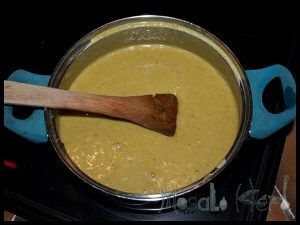 The following seasoning enhances the sorrel soup in terms of flavor: Black Pepper, Salt, Nutmeg and Turmeric powder. The turmeric is optional but it does suit the sorrel flavor and besides turmeric is a very useful and healthy ingredient and we should try to incorporate it into our food preparation whenever possible. I also add cream to the soup to make the sorrel soup recipe creamy and a bit heavier and I do use some more as a garnish. It’s completely optional if you want to add the cream. We always prepare croûtons to make this sorrel soup all the more special and sprinkle them over the soup just before serving the soup hot. How to store fresh sorrel leaves? You can place the fresh clean sorrel leaves into vacuum ziplock bags and store them in the freezer for a few months. Make smaller batches so that you can take them out and defrost the leaves easily. Chopping Board – The Walnut wood chopping boards are really outstanding! A healthy creamy sorrel soup made from scratch with fresh sorrel leaves from the garden. 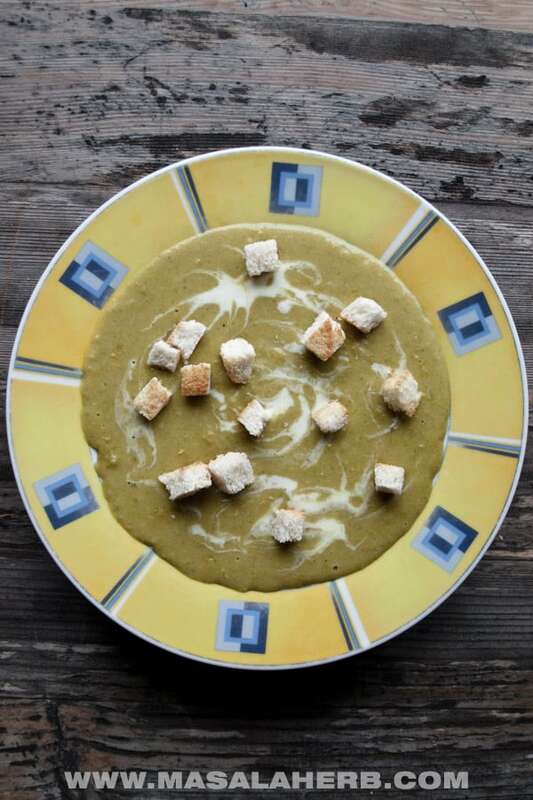 You can get store-bought sorrel to make this wonderfully flavorful and antioxidant-rich soup! Rinse the fresh Sorrel leaves and other vegetables. 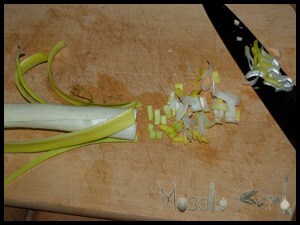 Dice the Potato, slice the Carrot and Celery, cut the leek into fine strips. 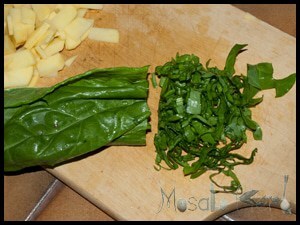 Cut the Sorrel into fine strips too as shown. 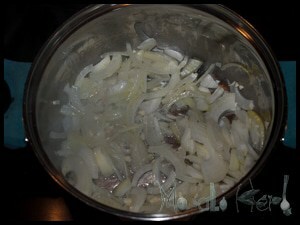 Add the Butter to the pan and fry the Onions translucent and continue to add the Garlic. Fry for 3 min on medium heat. 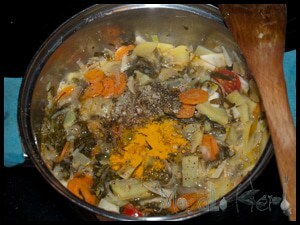 Throw in the other Veggies, Carrot, Potato, Celery, and Leek, mix and fry for a minute. Now add the cut sorrel leaves and stir-fry for 2-3 min on medium to slow heat. The Sorrel will lose some of its green colors and turn brown, that's perfectly normal! Season the Veg mix with Salt, Pepper, Nutmeg, and Turmeric. Pour in the liquids, water, and the cream, and mix it well, Cook for 2 min on low heat. 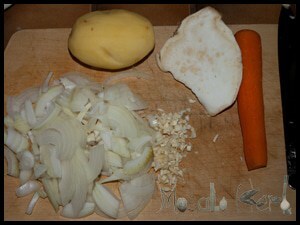 Purée/Blend the soup smooth and bring it back to the heat for 5 min. Serve, garnished with Cream and Croutons. Dear Reader, Where can you get Sorrel in your corner of the world? Hi Helene. I sure would like to find some sorrell. This soup looks delicious. 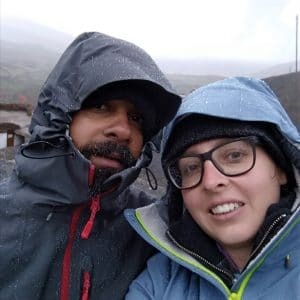 You’re lucky that it’s summer up there! This soup would make a fantastic winter warmer for us poor souls living in the southern hemisphere – too bad we don’t grow sorrel in our garden though! Nevertheless, maybe sorrel grows anyway in the southern hemispehere. Who knows, you might come across it one fine day and then when you expect it the least! Looks like a great summer soup! I had no idea Sorrel contained oxalic acid. 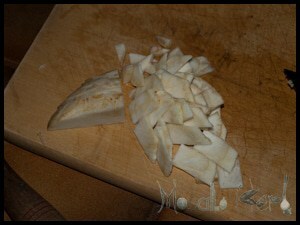 I only managed to find it once… it’s not that common, and just used it in a salad, raw. I’ll remember to cook it next time, but I’d never even heard of it so it’s nice to see a recipe using it. Got any others too? Other recipes… yes, in fact I was working on a Indian bhaji form of the veggie, though the recipe isn,t perfect yet, so I ll only post it once the flavors are well matching and once the taste experience is spectacular! Sorrel could be swapped for another leafy green? I don’t think I can get it here. Looks very yummy. Perfect for the Winter I am currently stuck in! ahh that’s a pity if you can’t get it there. You might want to use spinach instead, that comes the closest to sorrel. Wow! My grandma and I used to make sorrel soup all the time <3 ,I saw this and thought immediately of her and my memories of spending time in the kitchen together. Saving it ,will be looking forward to making it soon. The Hungarians love sorrel and eat it mainly as a creamy stew. As a child, it was not one of my favourites but my dear mother loved it, my dad, not so much, so we only had it when my dad had to work over dinner. This looks like a beautiful, creamy soup, perfect for the horrible spring we’ve been enduring, snow yesterday and today has been constant freezing rain. 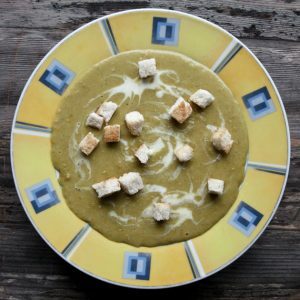 Hi, this may be interesting you: Healthy Sorrel Soup Recipe!